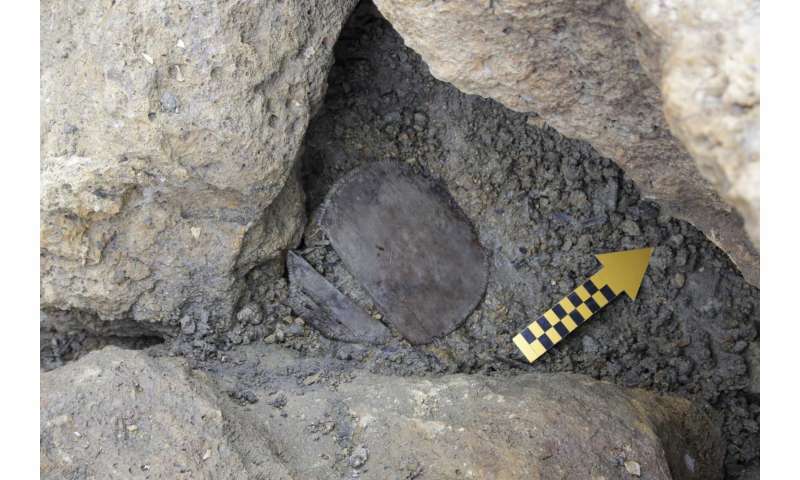 A Bronze Age wooden container found in an ice patch at 2,650m in the Swiss Alps could help archaeologists shed new light on the spread and exploitation of cereal grains following a chance discovery. The team of archaeologists were expecting to find a milk residue left behind in the container—perhaps from a porridge-type meal wolfed down by a hunter or herder making their way through a snowy Alpine pass. But instead they discovered lipid-based biomarkers for whole wheat or rye grain, called alkylresorcinols. The team say the discovery of these biomarkers in the residue could be used as a new tool to help archaeologists map and trace the development of early farming in Eurasia. The domestication of plants, such as wheat, was one of the most significant cultural and evolutionary steps of our species, but direct evidence of their use in early culinary practices and economies has remained frustratingly elusive. Plants quickly degrade in archaeological deposits therefore archaeologists are increasingly using molecular techniques to look for their remains. Dr André Colonese, from BioArCh, Department of Archaeology, University of York, said : "We didn't find any evidence of milk, but we found these phenolic lipids, which have never been reported before in an archaeological artefact, but are abundant in the bran of wheat and rye cereals and considered biomarkers of wholegrain intake in nutritional studies." "This is an extraordinary discovery if you consider that of all domesticated plants, wheat is the most widely grown crop in the world and the most important food grain source for humans, lying at the core of many contemporary culinary traditions. "One of the greatest challenges of lipid analysis in archaeology has been finding biomarkers for plants, there are only a few and they do not preserve very well in ancient artefacts. You can imagine the relevance of this study as we have now a new tool for tracking early culinary use of cereal grains, it really is very exciting. The next step is to look for them in ceramic artefacts," Dr Colonese added. The team combined microscopic and molecular analyses to identify lipids and proteins using gas chromatography mass spectrometry, a technique routinely applied to ceramic artefacts. Over the last 30 years, thousands of ceramic artefacts from Europe have been analyzed for their molecular content, most revealing evidence of milk and meat products, but hardly any evidence of cereals. Dr Jessica Hendy, from the Max Planck Institute for the Science of Human History, said: "The evidence of cereals came from the detection of lipids, but also from preserved proteins. This analysis was able to tell us that this vessel contained not just one, but two types of cereal grains—wheat and barley or rye grains. Combining these two kinds of molecular analysis, along with microscopy, is strong evidence that cereals were being transported across this alpine pass." "Detecting a molecular marker for cereals also has widespread implications for studying early farming. It enables us to piece together when and where this important food crop spread through Europe," Dr Hendy added. 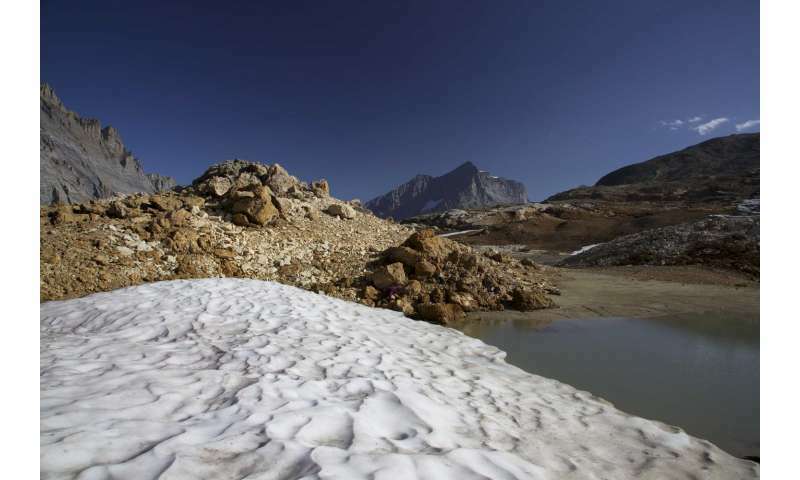 Dr Francesco Carrer, from Newcastle University, said: "This evidence sheds new light on life in prehistoric alpine communities, and on their relationship with the extreme high altitudes. People travelling across the alpine passes were carrying food for their journey, like current hikers do. This new research contributed to understanding which food they considered the most suitable for their trips across the Alps."